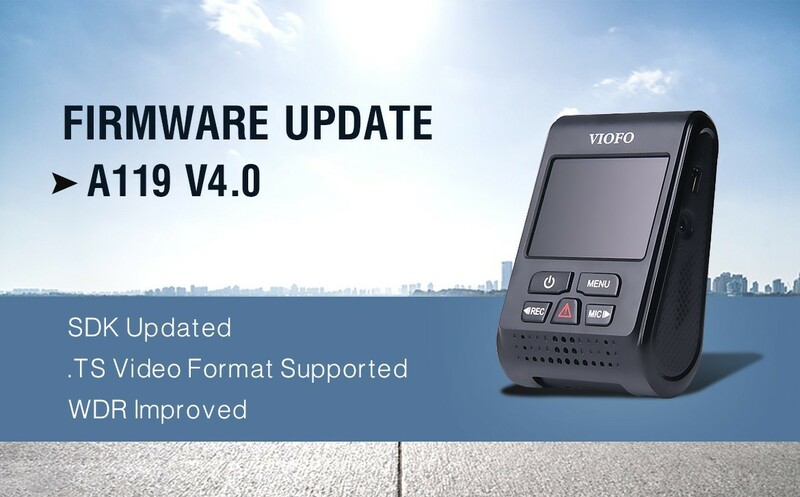 The latest A119 V4.0 firmware is updated to the latest SDK, also supported .TS video format, and improved the WDR performance. The .TS video format can solve the last file corrupt issue while the camera is not shutdown correctly. If the camera has a capacitor broken issue, we suggest using the .TS format instead of .MP4. Please notice there isn’t a GPS player support .TS format at current.